The Circle Cinema theatre is celebrating its history in Tulsa for 85 years this weekend. The theatre is currently under renovations, such as the return of its historic-looking facade. Other additions to the theatre will be updated technology and space to accommodate larger crowds. Executive Director, Stephanie LaFevers, says the idea for the facade was to touch back on the history of the cinema and its look from the 50s era. "Our front facade is being re-done, reminiscent of how it looked in 1952. So we're giving those folks who kind of remember that era an opportunity to kind of see that again," LaFevers says. She says the theatre has a great connection with the Tulsa community and its history, and it is able to serve a niche market. She is appreciative of the support and response from the Tulsa community, and she says that's why it has existed for so long since all of the other historical cinemas have been demolished. "And now we're operating it as Circle Cinema, as a throw-back to our older days as a movie theatre," LaFevers says. "But also kind of embracing new technology, new types of films being made, and of course the talent of film makers that are out there." 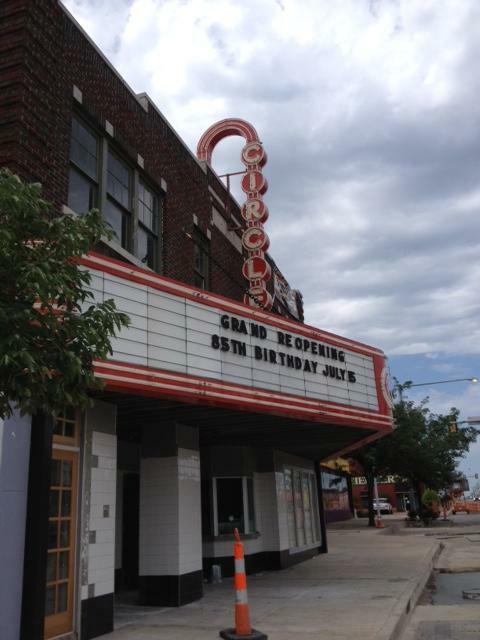 The birthday celebrations for the Circle Cinema begin Friday, July 12.